Adrian Mott is a photographer and is Course Leader for the Graduate Diploma Photography course at London College of Communication. As a working photographer, Adrian brings an experiential approach to photography and his teaching. He is a highly sought after and experienced professional photographer and teacher. 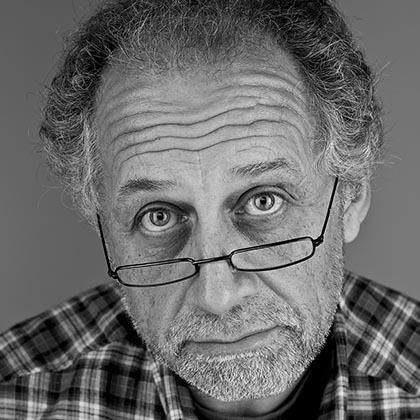 Adrian’s professional experience covers over 40 years in a broad range of applications and styles – from fashion shoots, photojournalism and architecture to marketing production and documentary photography. Adrian runs a successful commercial photo studio in central London, with clients including Rolls Royce, Ferrari, Mercedes Benz, Saatchi and Saatchi, Vogue, The Times but to mention a few. As Director of Photography, Adrian has worked with the European Union and is often asked as an Honorary Speaker to present his commercial expertise to both the Royal Photographic Society and the British Institute of Photographers.